The Leicester Transport Heritage Trust Vintage Bus Running Day 11:00am - 5:00pm in association with the Abbey Pumping Station Museum 'Seaside Special event' and the First Leicester Bus depot open day. 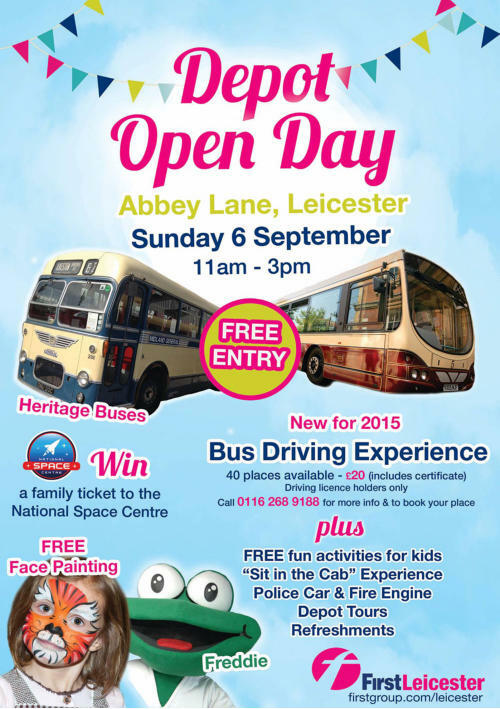 There will be vehicle displays taking place at the National Space Centre Coach Park LE4 5NS and at the First Leicester Abbey Lane depot. 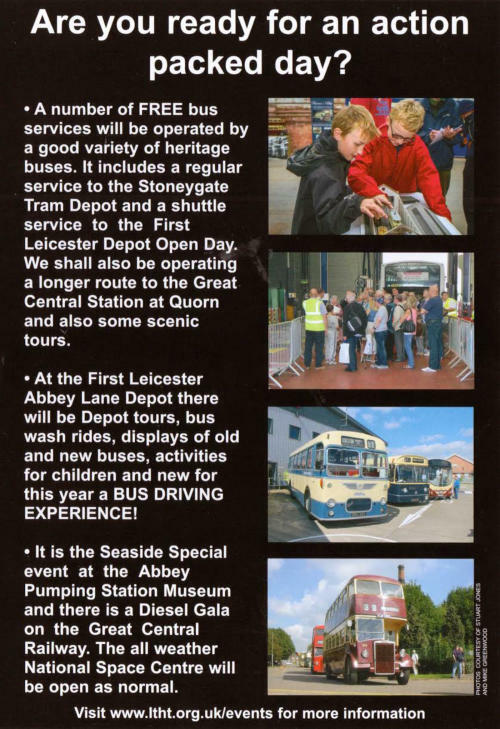 Free bus services from the Abbey Pumping Station Museum will include a regular service to the Stoneygate Tram depot and a shuttle service to the First Leicester Depot Open Day. Services will consist of a 20 min frequency to the Stoneygate tram depot, hourly link to the GCR (Diesel Gala) Quorn, hourly 20 min trip round the Golden Mile and occasional Leicester tours and Cropston tours. There will also be a shuttle service to the First Leicester Depot Open Day. Pick ups/set downs at Leicester, London Road, Mainline Railway station on the tram depot route every 20 mins during the main part of the day at stops'ED' outward journey to the Tram depot and 'EH' on the return. 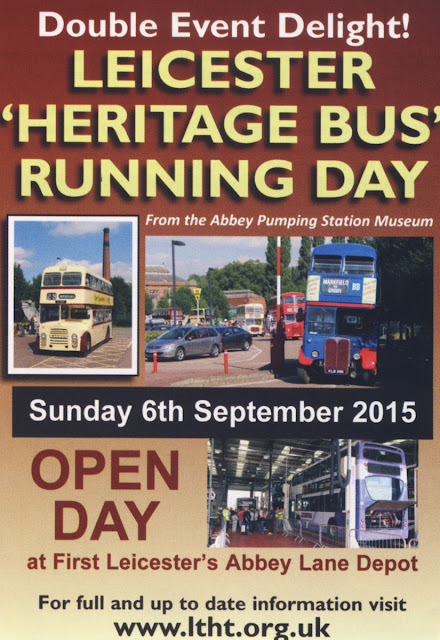 Return journeys from the tram depot will run via the First Leicester Depot Open Day site on Abbey Lane.